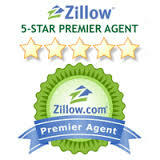 Larry was very responsive and always researched properties for us as soon as they came on the market. It took us nearly a year to find the perfect house and Larry was very patient and supportive throughout the process. When the time came, he was invaluable in navigating the ins and outs of making an offer and the negotiation process. I would highly recommend Larry to anyone.